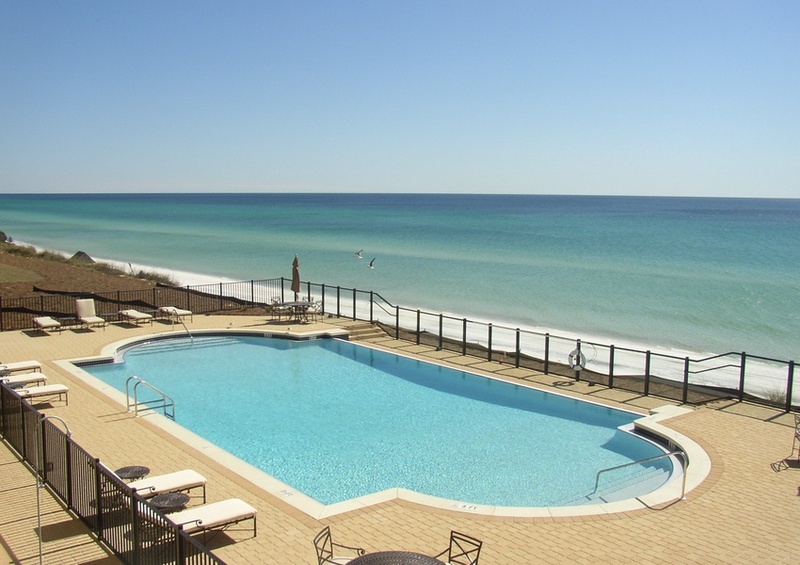 If you’ve dreamed of a luxurious getaway to the Gulf on Scenic 30A, look no further than Adagio. 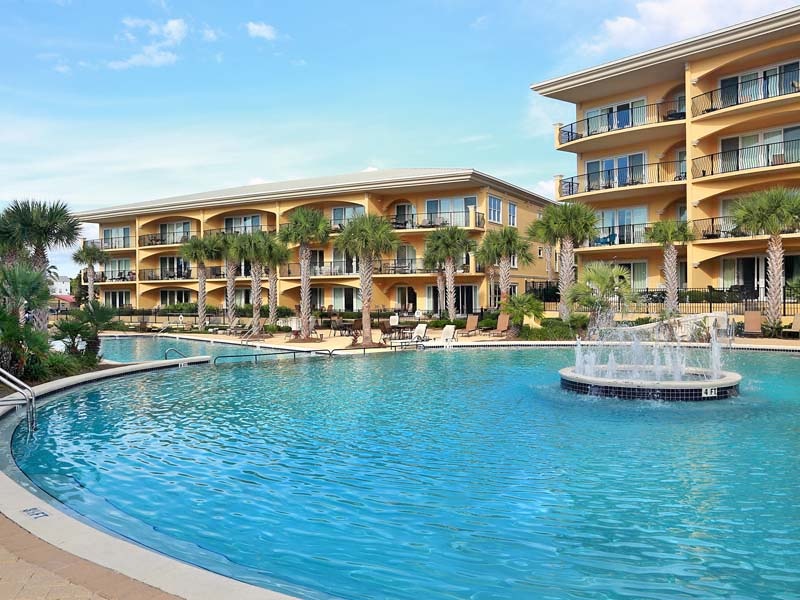 As one of the most sought-after vacation spots on 30A, you’ll be breathless over the views of the 8,000 square foot resort pool and private beach access. 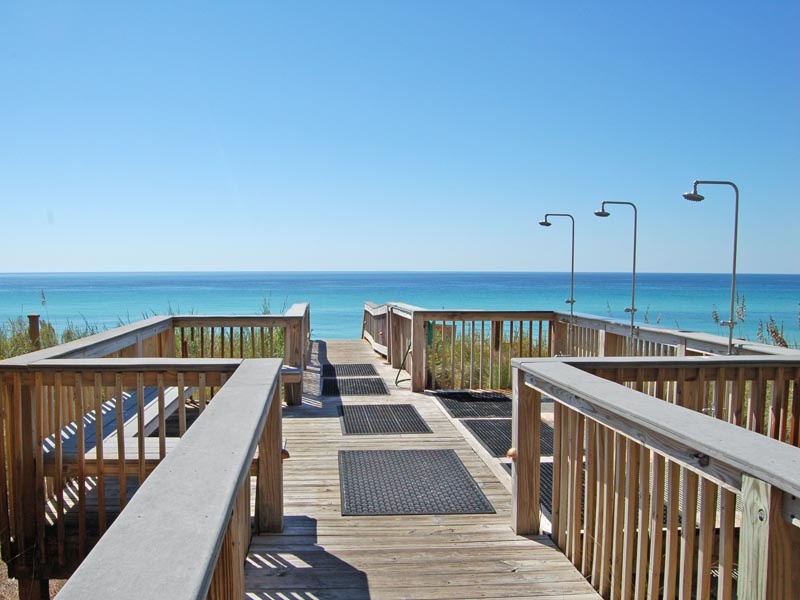 Choose Adagio 201E for your next retreat, and bask in everything this gorgeous three-bedroom, three-bathroom 30A vacation condo has to offer. It’s the perfect size for eight guests, so bring along the whole family! 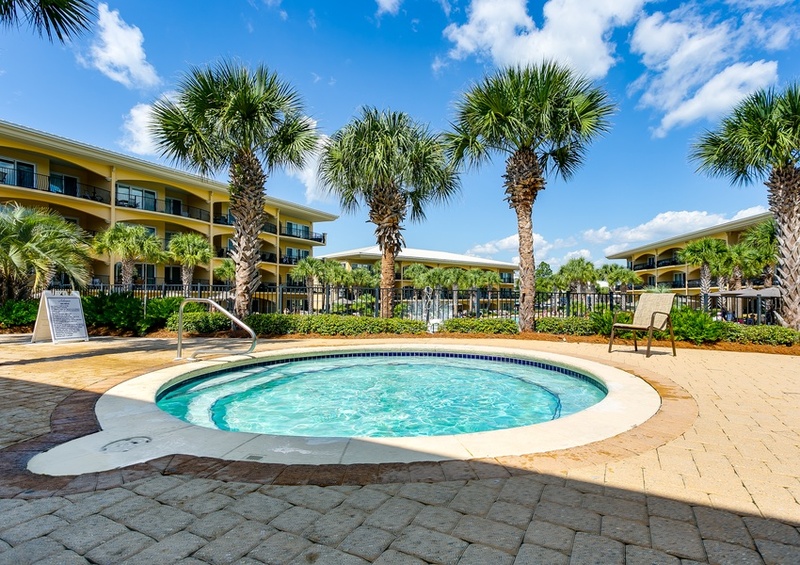 You’ll feel like you’re on vacation the second you step inside Adagio 201E. Greeted by warm furnishings and magnificent views of the sparkling pool, it’s easy to see why Adagio is so popular. Enjoy views of the pool from your own private balcony, accessible from the living room and master bedroom. The gourmet kitchen is the perfect spot to show off your culinary skills, complemented by stainless steel appliances and beautiful granite countertops. Then, head into the master bathroom, where you’ll be eager to soak in the whirlpool tub after a long day in the sun. Meanwhile, flat-screen TVs can be found in the living room and all three bedrooms. Adagio’s amenities are truly unparalleled. 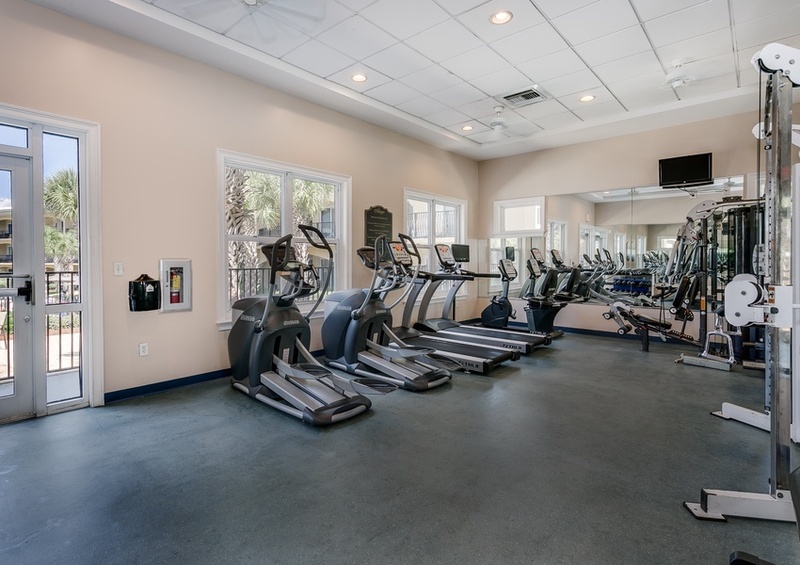 From a massive Gulf-front pool to an onsite fitness center, you’ll be hard-pressed to leave! Let your muscles ease up as you relax in the outdoor hot tub. Additionally, the barbecue grills are available for a family picnic. Enjoy complimentary in-season beach service, including two chairs and one umbrella, during your stay. The options are endless when you stay here! 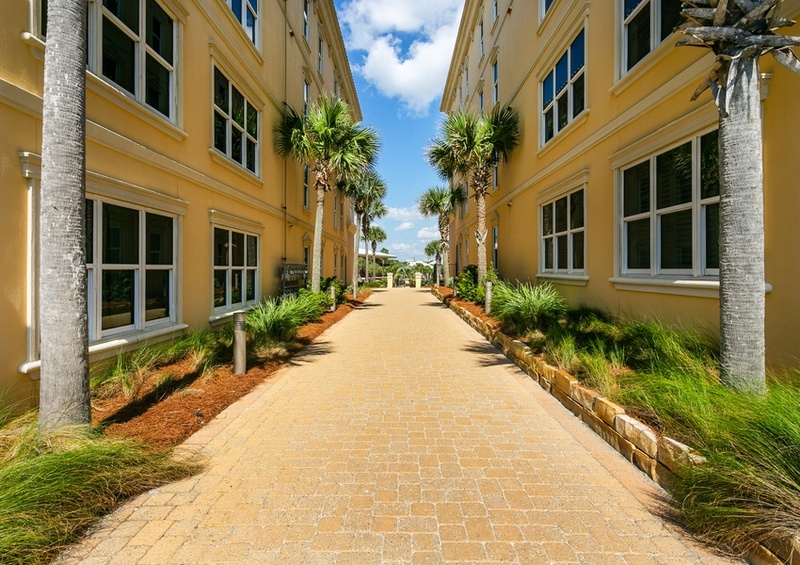 30A is home to a wide variety of local shops, restaurants, and endless entertainment. 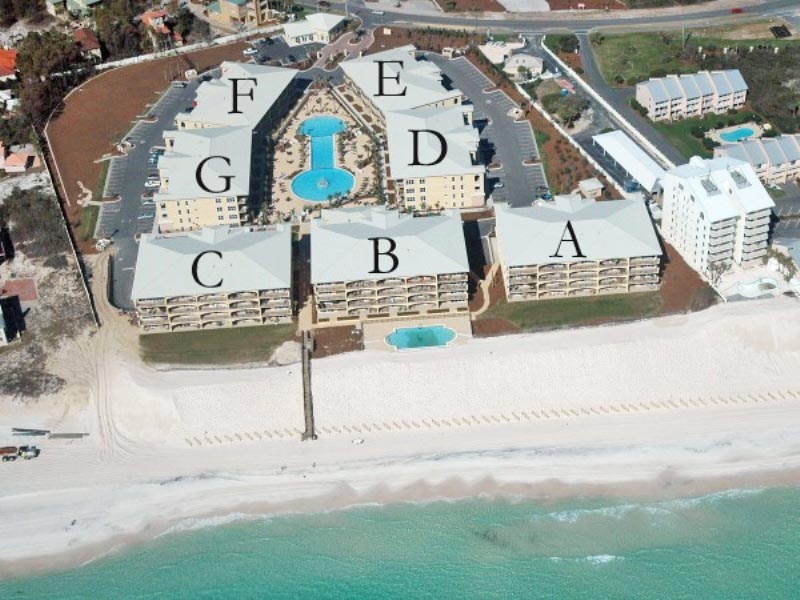 Since Adagio is located in Blue Mountain Beach, you’re situated on the highest point across the Gulf Coast! This is a great spot to hike and paddleboard across the area’s rare coastal dune lakes. Our Gulf Coast Guide can help you discover more 30A activities to make the most out of your vacation. Reserve Adagio 201E with Southern today!